We are delighted to announce the launch of our online Investment Policy Statement app. 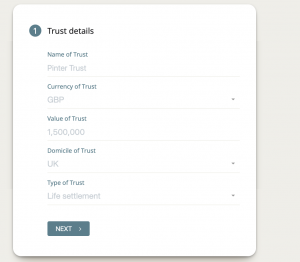 Using this FREE online tool you can create your Policy Statements by answering a series of questions about your trust or portfolio. Register or Log in above and select the ‘Tools’ menu option to get started. 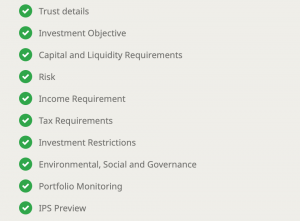 A simple, step by step approach to creating your Investment Policy Statement. Fully comprehensive and includes details about objectives, income requirements, investment restrictions and tax considerations. 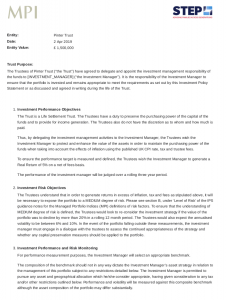 Based on a sample Investment Policy Statement and accompanying guidance designed by STEP’s UK Practice Committee, drafted with the trustees of private family trusts in mind.